This lottery strategy is totally different concept. It has nothing to do beating the lottery or 4d or the pick 4 companies. Its beating another biggest obstacle to winning which is YOURSELF ! . Yes…you ! Because over the time, we begin to feel like a loser all the time and getting low in spirit and hunger to win the big prize. We bet or buy numbers hoping to win but 80% of our mind already accept the fact that we will loose when we bet today. Call it a loosing mentality. When we got to that stage, we will keep on loosing as we already accummulate the negative energy which attracts losing habit and bad luck unconsciously. We need to counter that. 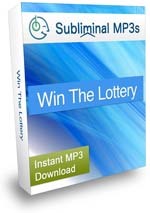 That where this “Win the Lottery” mp3 comes into the picture. So how does the above sound ? I just discovered this thing and decided to get it and listening to it once a day. One more weapon in the arsenal to tackle the lottery syndicates. It so hard to get better over them nowadays. This is one way to charge you up and stay motivated. Its like programming your brain that you are a winner and make you believe that you can win and predict the numbers correctly. But then, please, I say please 1000 times. Don’t expect to buy and listen it today and hope to win it next week. Its a long term positive energy build up strategy to ward off negative thoughts, loser attitude or mentality so that our subconscious mind is always on the winning mentality and attract good luck not the bad lucks. Remember, we need luck to win and this is one way to invite luck rather than chasing it out with our minds bad thoughts. Now I say good luck to you 1000 times and let us attract good luck and vibes, the winning mentality to win the big prize frequently as we all always wish. Click Here to get it !